There is no doubt that Final Fantasy XV is one of the most eagerly awaited video games of the year, as it will be the first Final Fantasy video game to feature true open-world gameplay, with protagonist Noctis and his pals being able to roam the game’s fantasy world in his car or riding the Chocobo birds that long featured in the series. And it looks like publisher Square Enix will finally reveal the game’s release date at an event in Los Angeles this March (it is also rumoured that a PC version will be announced at this event). It also appears that Final Fantasy could be getting more support from the fashion world, as actress and model Pia Wurtzbach has been invited to attend the event by Square Enix. Wurtzbach is well-known for winning the Miss Universe Pageant in December 2015, but not after host Steve Harvey made a notorious mistake during the ceremony (he announced Wurtzbach’s rival was the winner). Pia Wurtzbach (right, blue) won the 2015 Miss Universe contest. This is not the first time that people involved in the fashion world have taken an interest in the Final Fantasy games, though. Recently, Louis Vuitton used Final Fantasy’s XIII’s character Lighting in a fashion campaign, which must be one of the first times that a video game character is used as a model by such a prestigious fashion house. But going back to Miss Universe Pia Wurtzbach, it is clear that this lady is something of a video game fan, as she was not only delighted to have been invited to the Los Angeles Final Fantasy event, but she also said that she would be “casting reflect on all my haters now” in a tweet. This is a reference to Final Fantasy’s well-known “reflect spell”, which acts as a magic shield, making magic bounce back and strike the caster. This clearly shows the model is fond of these Japanese fantasy role-playing games, and she also mentions that she loved Final Fantasy VIII’s love story, and that she has completed the Kingdom Hearts video game as well. And it is certainly a good thing that celebrities like Pia Wurtzbach are no longer closet gamers, and the fact that this Miss Universe is outspoken about her love for gaming can only do the video game industry good, now that video gaming is increasingly becoming a mainstream entertainment. 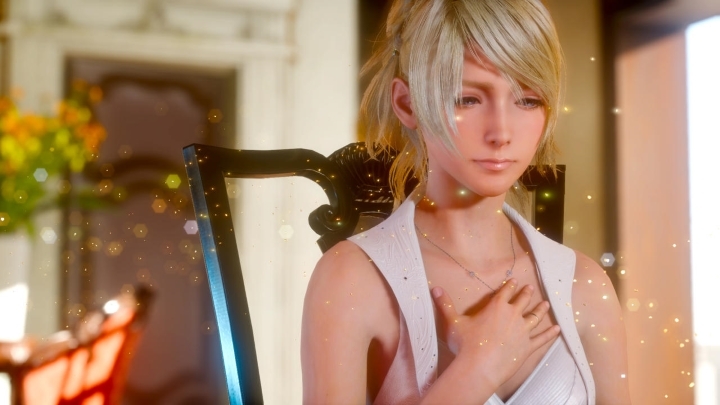 So it would be a great thing if this pretty lady can attend Square Enix’s Final Fantasy XV event in March, as it looks like this eagerly awaited entry in the long-running series could be one of this year’s top video game releases. Next: Could One of Bethesda’s ‘Big and Crazy’ Projects Be ‘The Elder Scrolls VI’?